Facebook, already increasingly known for widespread censorship of controversial content, just joined Twitter, YouTube, and Microsoft in agreeing to a European Commission “Code of Conduct” that’s even more Orwellian in scope than it sounds. This essentially means, users of these platforms who step out of line will be barraged with information and programs, in an as-yet-undetermined way, which align with goals the European Union favors. According to the announcement, those companies have agreed to work in tandem to accomplish this unapologetically subjective censorship of ideas the E.U. finds offensive. Such a massive push to curtail hate speech will have inevitably far-reaching repercussions for users in the United States, as the code’s murky and broad language and lack of solid methods for carrying out the program leave vast leeway for interpretation. Digital freedom advocacy groups — and even members of the European Parliament — have already decried the sweeping agreement as “Orwellian” and “lamentable.” And, as no surprise to anyone paying attention, one key motivation for this Politically Correct nightmare is fear of terrorism. Just since mid-2015, Twitter has suspended over 125,000 accounts for threatening or promoting acts of terrorism, Reuters noted. In no way could such a policy be viewed as allowing ‘critical thinking’ as the Commission implies in its statement. “It’s Orwellian. Anyone who has read 1984 sees it’s [sic] very re-enactment live,” MEP Janice Atkinson told Breitbart London. “The Commission has been itching to shut down free speech in the Parliament and now they’re attacking social media. 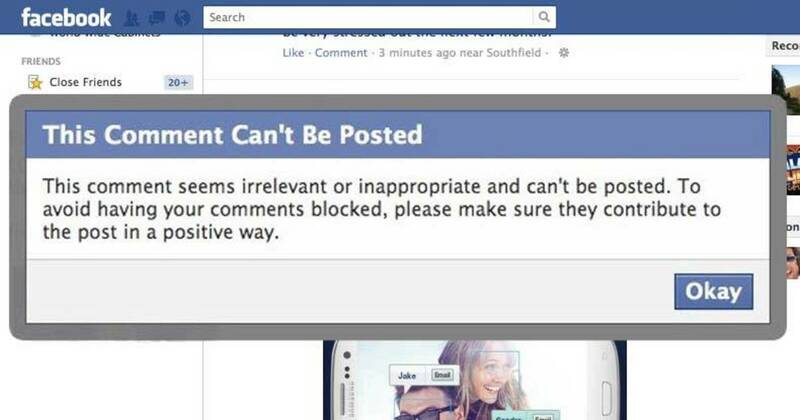 We have already seen Facebook ‘policing’ so-called right-wing postings.